If you want to be competitive, encourage your employees to pursue lifelong learning. This will increase employee engagement, develop talent, and increase your retention rate. Many companies, however, are not certain how to measure the effectiveness of their workplace training initiatives or calculate their return on investment for such initiatives. Traditional performance indicators commonly used for business analytics like number of new customers acquired, customer attrition rates, customer demographics, etc. are easy to quantify. They can provide a great deal of information — as long as it is possible to measure a specific value. Even sales forecasts, reserves for bad debts, or similar projections rely on "hard data" for calculations. But obviously, traditional models are not suitable for measuring learning initiatives. Historically, learning analytics were a binary assessment — pass or fail, scheduled or under way, or completed or dropped to name a few options. The problem with such assessments was that they did not measure whether any significant learning had occurred; they merely measured whether the training was completed with a passing grade. 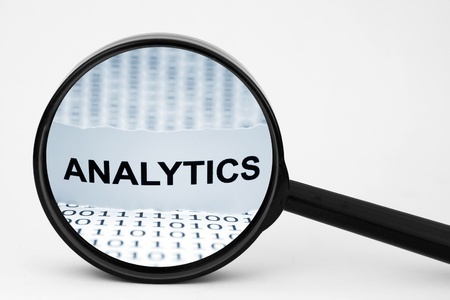 The next step in learning analytics was to measure satisfaction, impact and learning. A host of other KPIs were added, such as the time each student spent on the module, ranking of test scores, and the number of attempts made before completion. These analytics provided statistical data regarding whether students learned. However, the satisfaction of the participants is often of little value in determining whether the desired outcome was achieved. Impact on the business is a desirable metric that can be difficult to quantify. There are two problems with the standard analytics for learning. The first is that they tend to measure learning — the employee passed the test or failed — when what really matters is whether the employee can apply the learning in the workplace — in other words, did the training provide true employee development? The second problem is that the analytics only measure the employee's performance at the time of the test. Most learning does not have an immediate impact; instead, the employee will typically experience an incident during which the connection between the training and the "real world" becomes apparent. 1. Ask participants to evaluate the course immediately following completion, but follow it up after participants have had an opportunity to apply the learning. 2. Encourage employees to give you feedback on areas in which they felt course content was lacking or confusing. 3. If learning is offered in multiple parts, measure how many participants opted to continue to the next part. 4. If possible, monitor whether participants discuss the training on social media sites or forums. Only after you have determined the value of the training can you quantify its effectiveness and impact to determine your ROI.